Quintessential Shanghai. Looking down never looked so good. View from the posh bar on the 92 floor. Shanghainese are like New Yorkers–almost anything super-popular is too uncool to be considered. 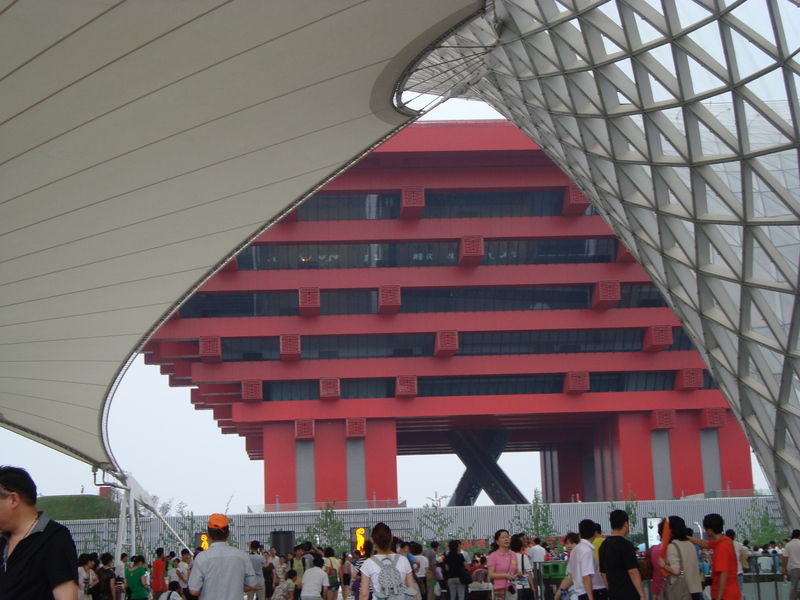 So it wasn’t surprising that our first few days in Shanghai we didn’t meet a single Shanghainese who had attended World Expo 2010. They all but sneered at the idea, but gave a smug”you go ahead” nod when we told them we were planning to attend. The travel sites I rely upon for planning tips were also full of people shrieking about 5 hour long lines, dropping-like-flies heat, and the sheer massiveness of the Expo site. So it was with a huge amount of trepidation that we drove across the rainbow bridge to the edge of nowhere, plunked down 480 RMB (about $70US) and were immediately abandoned by our English-speaking guide who would rather sit in the car and wait for 7 hours rather than brave the crowds with us. Who’s with me? Ten minutes into it, despite the heat, the crowds and the strong sense of being overwhelmed, we were all giggling with delight and knew we’d hit the jackpot of fun and interesting stuff. I mean think about it–giant pavilions built by people and countries from all over the world to tell what’s special and cool about their particular piece of the planet. Walk along and “ooh, look there’s Germany, there’s Nigeria, ooh check out Brazil.” The architectural representation of each country was fantastical. Like walking across the continents in a giant kids’ 3-D map of the world. 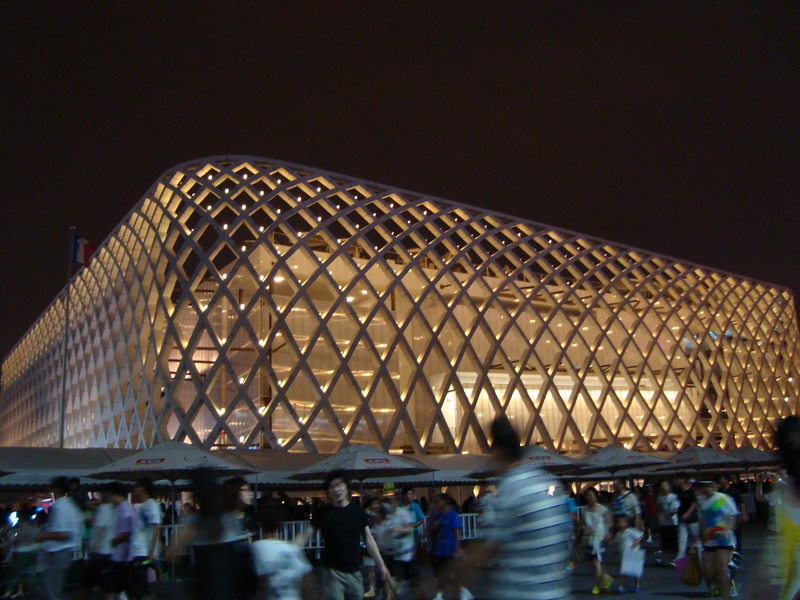 An estimated 70 million people will visit the Expo by the time it ends its six month run. Of those, less than 3 million are expected to be foreigners. So here is the exciting thing about the Expo: tens of millions of Chinese are getting introduced to the world they have so quickly become a major part of. And the world they see at Expo, however sanitized and best-foot-forward, is mostly in the words of the other countries themselves. This is a big deal in China where media is so carefully groomed. We got lots of stares. My last trip to mainland China was in 1987, where I was a true rarity since most Chinese had never seen foreigners, much less an African-American woman. While not that much of it goes on in Shanghai, it was fairly common at the Expo because people there were from all over China. And many of them probably don’t see all that many foreigners regularly. My kids, normally shy, were great sports about having their pictures taken with people who spoke no English but were quickly able to demonstrate their desire to have a picture taken with (cute) foreigners. My kids quickly embraced their embassador roles. 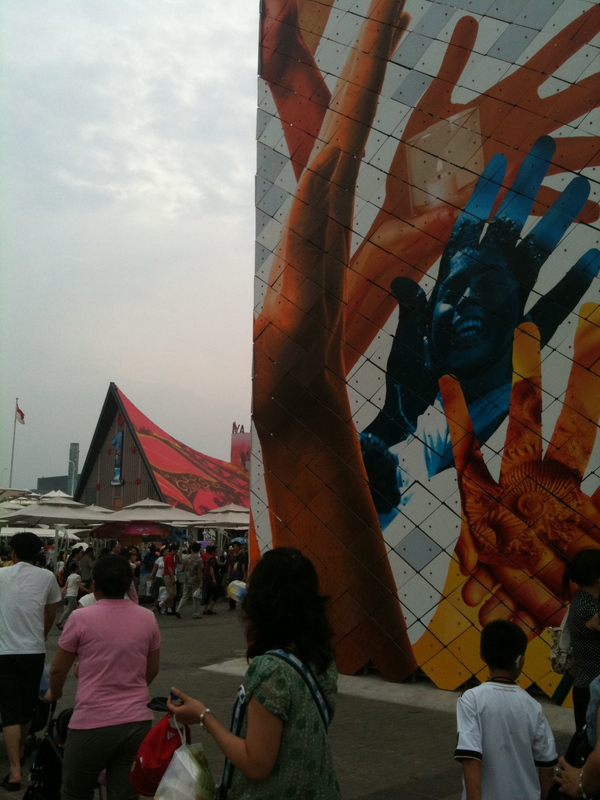 The theme of the Expo is Better City, Better Life. While some were opposed to Shanghai hosting the 2010 Expo, it would be hard to find a more appropriate setting for this theme. There are 20 million people living in Shanghai and while beautiful, vibrant and exciting, it is hard not catch constant whiffs of the grey/dark futuristic crowded gloom that Blade Runner predicted. 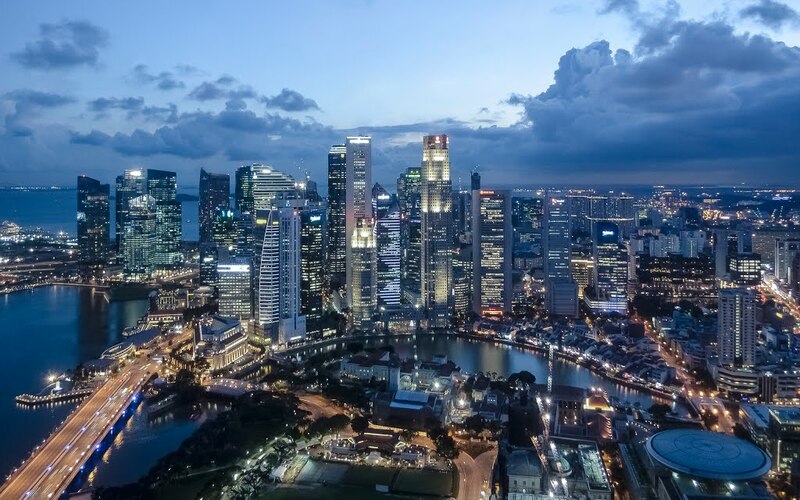 As Professor Joel E. Cohen of the Rockefeller Center on Populations puts it in his work projecting populations trends, “From here on out it is an urban world.” For the first time in history, more of us will live in cities than in rural areas. So building better cities really matters. 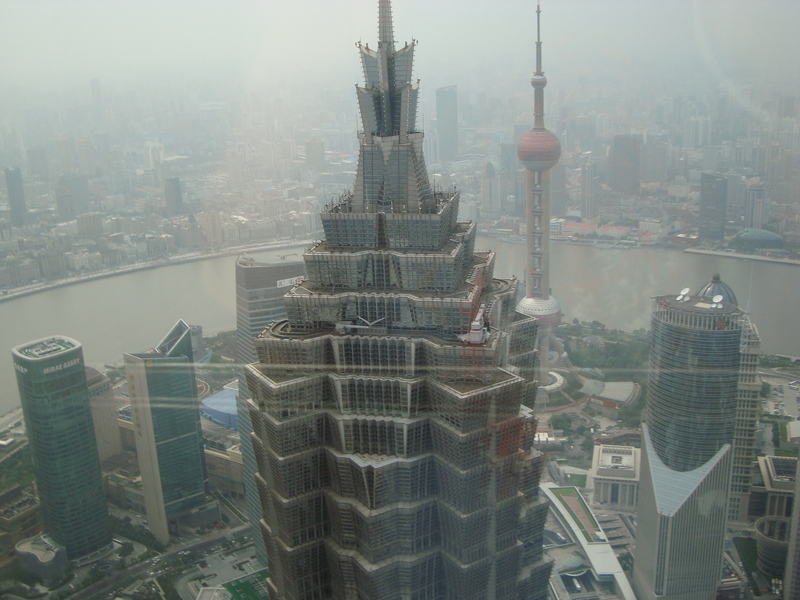 Having worked in public health for a considerable portion of my career, I am both inspired and a little terrified by what Shanghai and the Expo 2010 showed me about what can happen in a few decades. This go round, there were precious few bikes in Shanghai, a shocking change from 20 years ago. A huge loss that impacts not only air and noise pollution, but also speaks to a wholesale adoption of a very narrow definition of success and affluence. At Expo, clean fuel vehicles were very much in evidence but I still would have liked to have seen more bikes. Haibao, which means Treasure of the Sea, was everywhere. And a big hit with my kids. Sanitation, which 20 years ago consisted primarily of stinky pits in the ground, was MUCH improved. Let me assure you, this type of progress is not a given of economic development. With 300-400,000 people visiting Expo daily, (Disney World is estimated to have about 40,000 visitors a day) I gotta tell you the bathrooms at Expo were clean, plentiful and urged water and paper conservation. I don’t pretend to know the reality behind the slogans, but I do know that health education matters and requires memorable messages and messengers, even if provided by kitschy characters. Before you join those making fun of the big blue mascot Haibao, perhaps remember Smokey Bear. 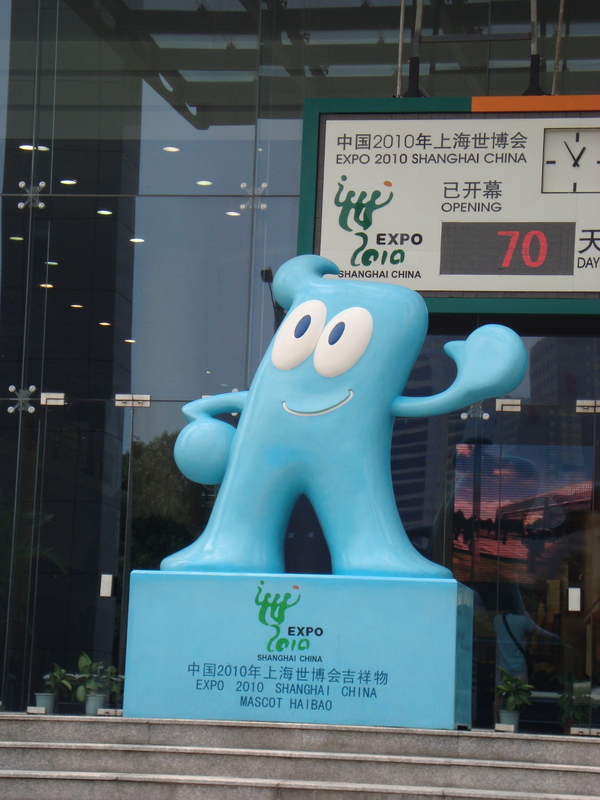 My guess is that this Haibao character has a public education career far beyond the life of the Expo. Overall, I’d give the Expo a big thumbs up. It opened my mind. It gave me hope. It made my kids excited to be part of a larger world. It raised the important point that yes, we will need Better Cities in order to have Better Life. But where it came up short is that in the end, only a few of the pavilions (and the US pavilion did an admirable job on this front) captured the necessity of building a collective vision of BETTER which means equitable, just, sustainable and desireable. After all, we can’t get there alone, but we’ve got to want to get there together. P.S. If you decide to go, one tip that saved our bacon: go around 3pm and stay till 10pm (closing). 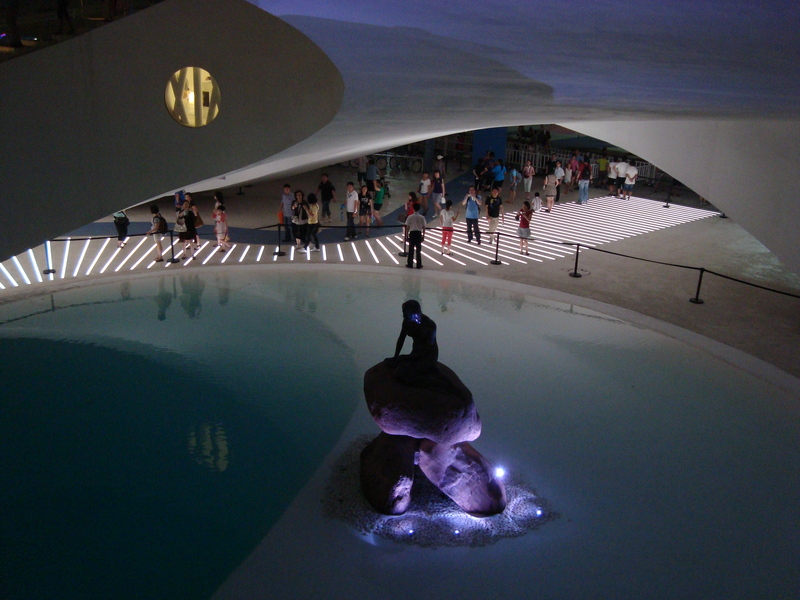 Not sure if crowds were smaller, but not as hot and the pavilions look amazing when lit up at night. I could have skipped the “It’s a small world” rip-off parade, but my 6 and 7 year old kids were enthralled.